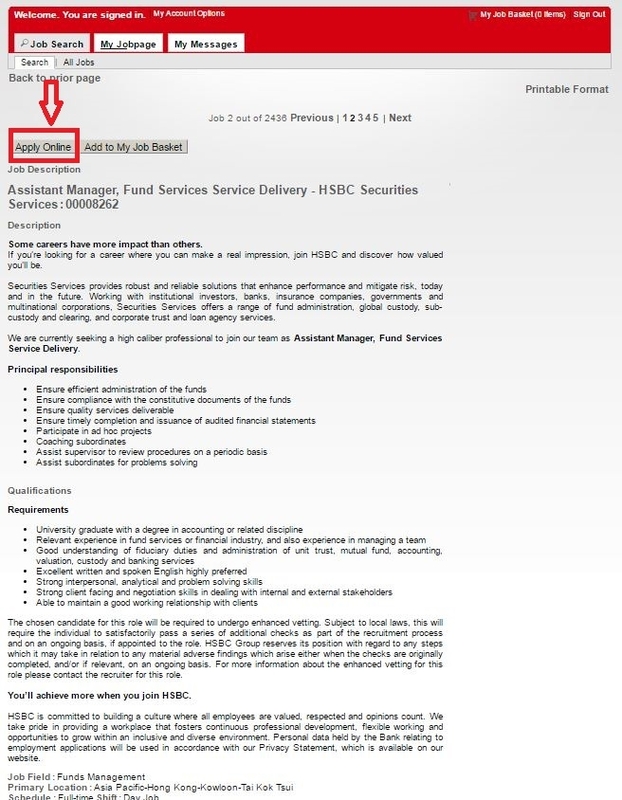 If you wish to apply for a job at HSBC via the Internet, you have to pay a visit at hsbc.com/careers first and foremost. 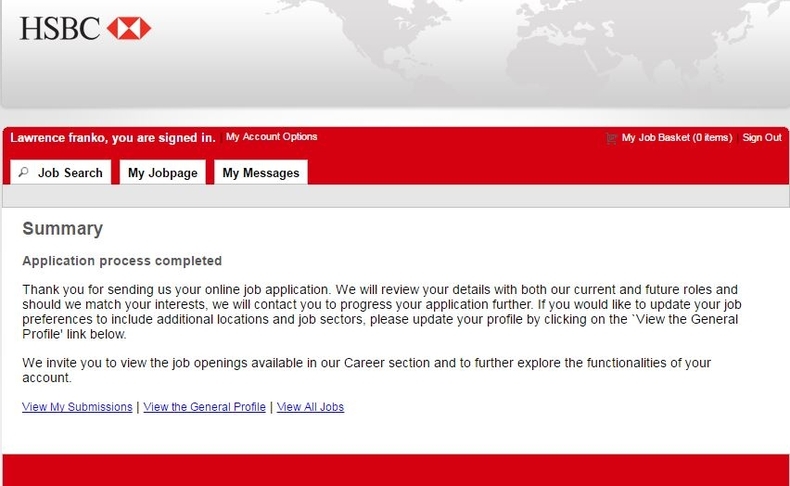 When you entered the careers page, you are required to click the button "Choose Location", after which a list of countries will appear. Click the country that you would like to work in to move. This article chooses the United States as an example. 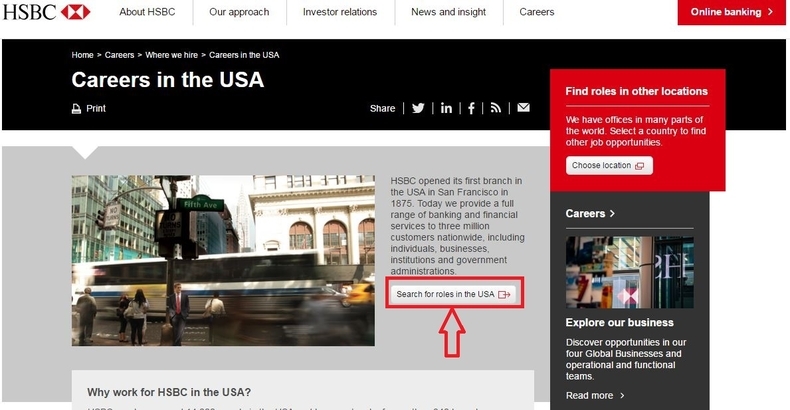 With the country selected, you just click the button "Search for roles in the USA" to go tho the third step. You need to select a position that you would like to apply for from the list of search results. 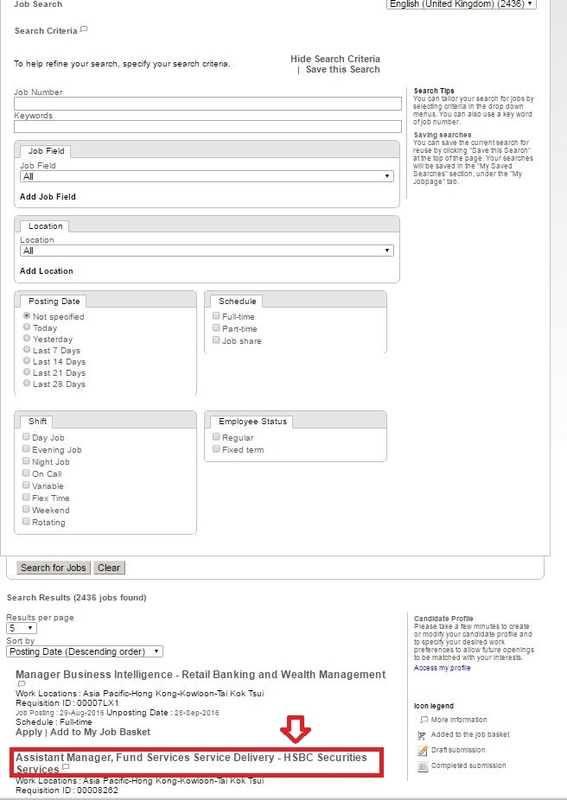 And you can filter your search results by entering job number and keywords or selecting job field, location, job posting date, schedule, shift or employee status. After you chose the position, you will go to a job description page on which details about the position including the responsibilities, requirements and qualifications will be listed. 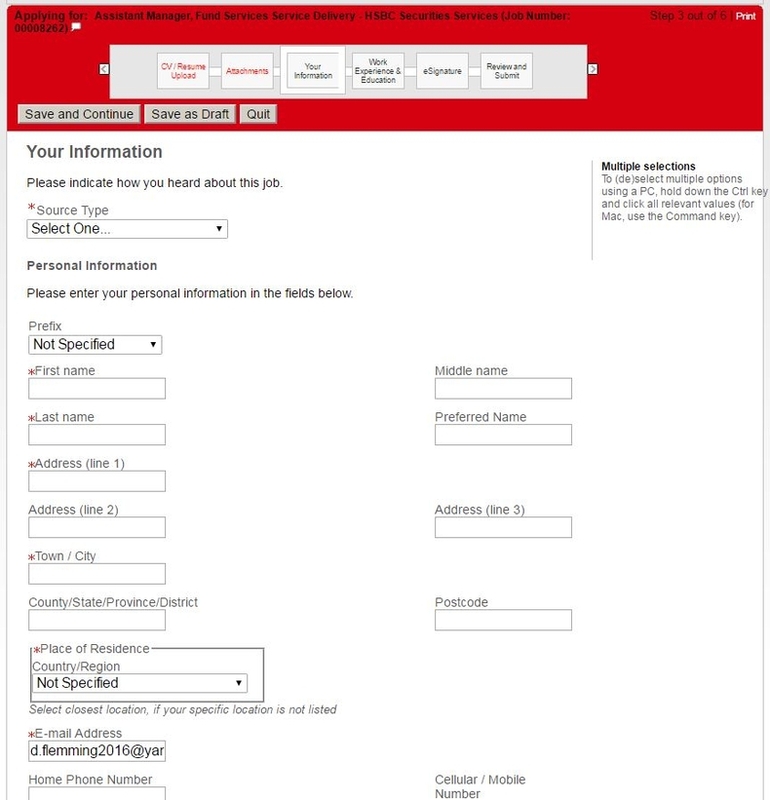 Browse this page carefully and click the button "Apply Online" if you make a decision to apply for it. After the fourth step, you will be given a privacy agreement page which needs you to read and accept it. Then you will enter the login page. 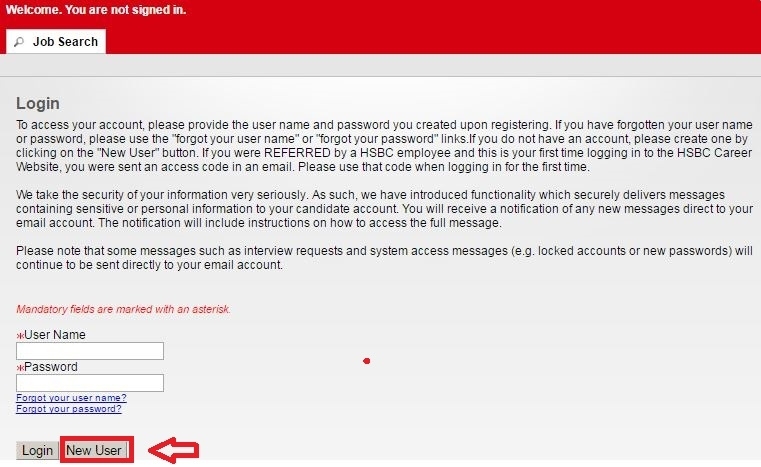 You have to log in your HSBC account to further your online application. And a new account should be created if you are a new user, click the button "New User" and follow the instructions to get your account built. 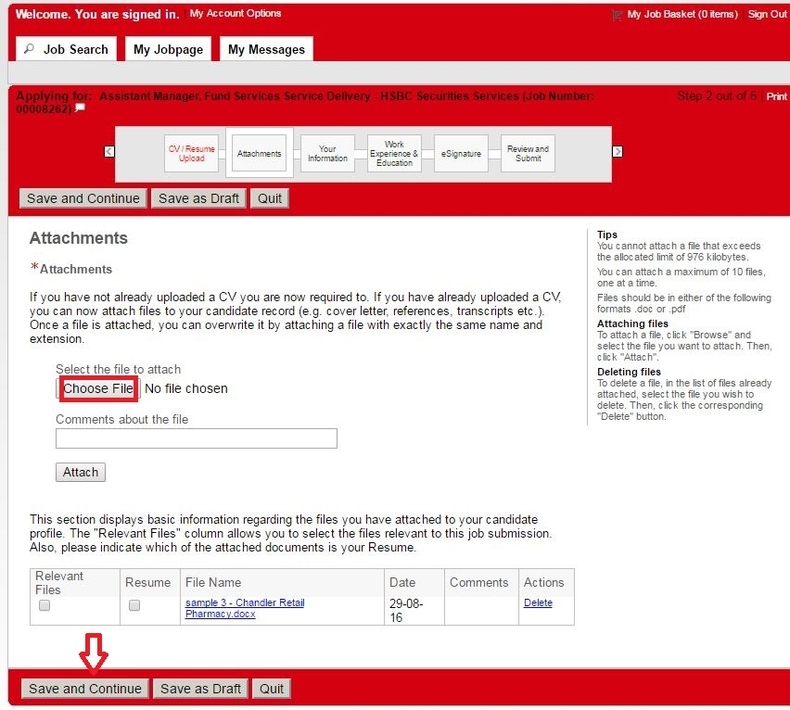 To make your online application more intact, you need to upload your recent resume/CV and other relative attachments in this step. Choose the files from your computer and click the button "Upload" or "Attach" to get them successfully uploaded. Then Click "Save and Continue" to move on. Here your personal information like your name, address, phone number, email address and other information are included. All the required fields are marked with asterisk. Fill out the information and click "Save and Continue" to go forward. You are required to provide your work experience and education background in this step. Read the instructions and start with the most recent work experience. After filling out, click the button "Save and Continue" at the bottom of this page. 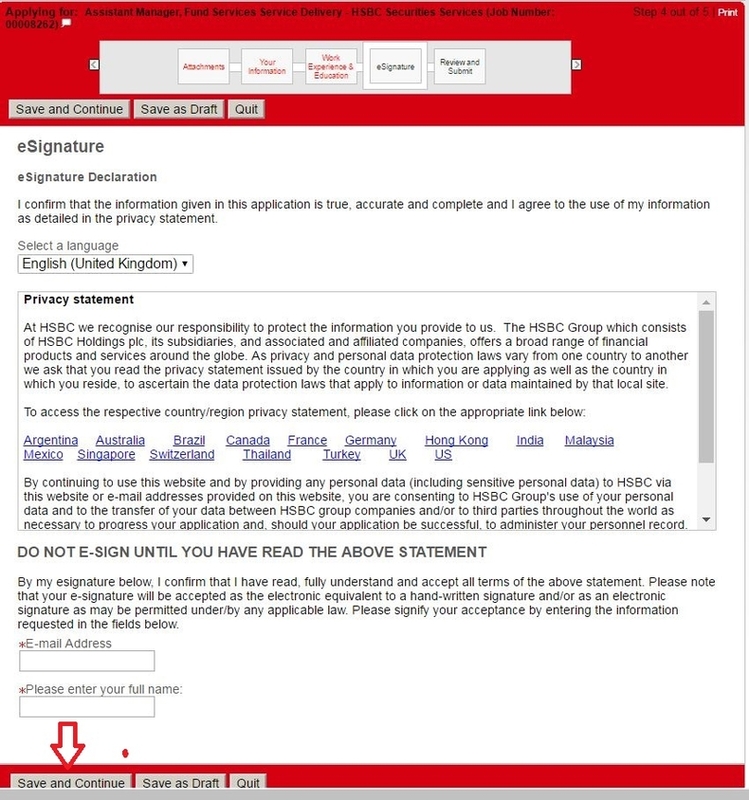 Read the eSignature declaration and fill your email address and full name in the required boxes. Please note that the eSignature here has the same effect as the written one. With the nine steps are done, you will enter a application review page. 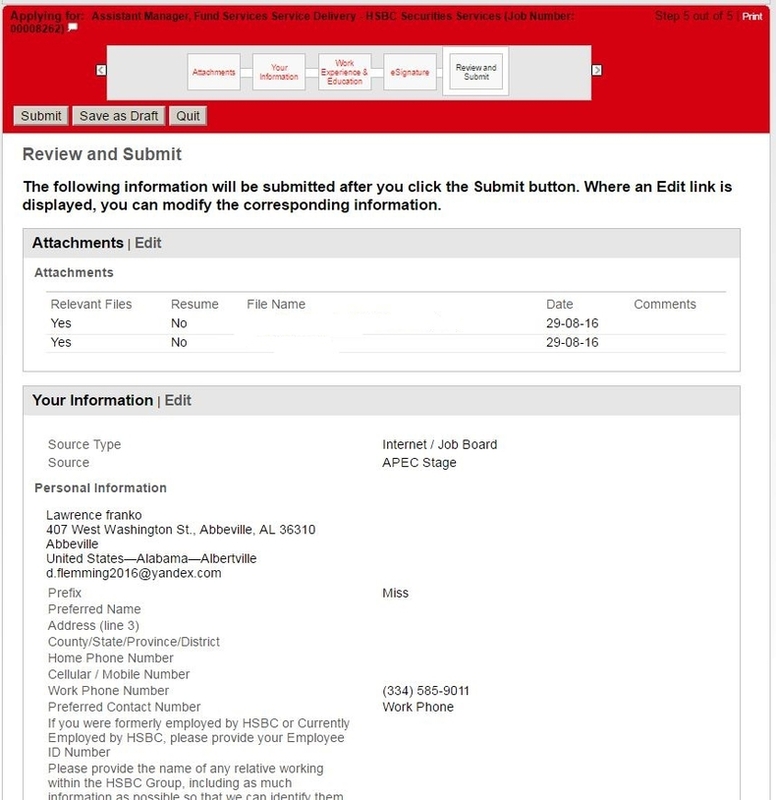 Check the information and submit your online application by clicking the button "Submit". After you submit the application, you have made your online application totally finished. And you may view your submission, general profile or all available jobs by clicking the blue letters accordingly. 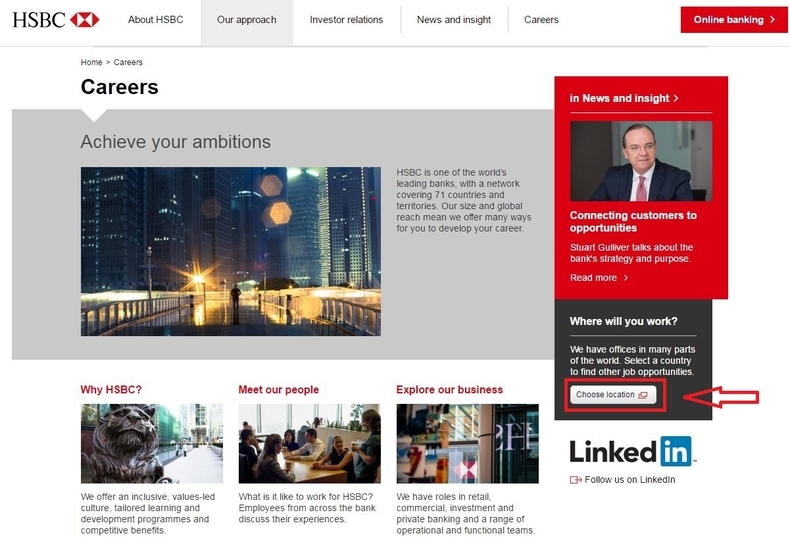 Click hsbc.com/careers to apply for HSBC jobs online.